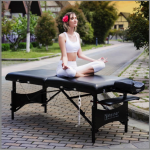 Finding the perfect portable massage table is an arduous journey. I know because I’ve been there myself. Imagine all the things that can go wrong when giving your client a perfect soothing massage. Will the table break in half? Will it squeak or whistle? Is it uncomfortable? Luckily, I’ve done extensive research to give you the answers you need before putting yourself in situation you don’t want to be. We’ll be looking at one of my favorite brands: Sierra Comfort. In particular the All-Inclusive portable massage table. 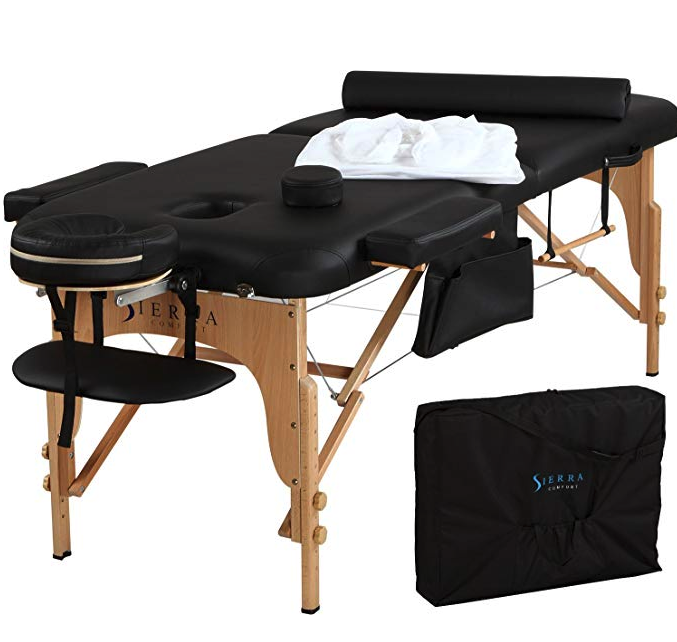 The Sierra Comfort All-Inclusive portable massage table is one of our best portable massage tables. It’s cheap (relatively speaking), lightweight and comes with bunch of accessories. The first thing you notice about this massage table is the type of wood, beech timber. It’s a high quality wood and is supported by a cable system. The table can support up to 450 lbs. Sierra Comfort’s official website lists this as weighing 36 to 39 lbs based on the accessories used but we weighed it closer to 33 lbs. Also the weight is well distributed so it feels lighter. You might be wondering why they aren’t advertising the static weight many other companies do. It’s because Sierra Comfort doesn’t want to deceive their customers into thinking the table can support more weight than it actually can. Talk about customer loyalty! 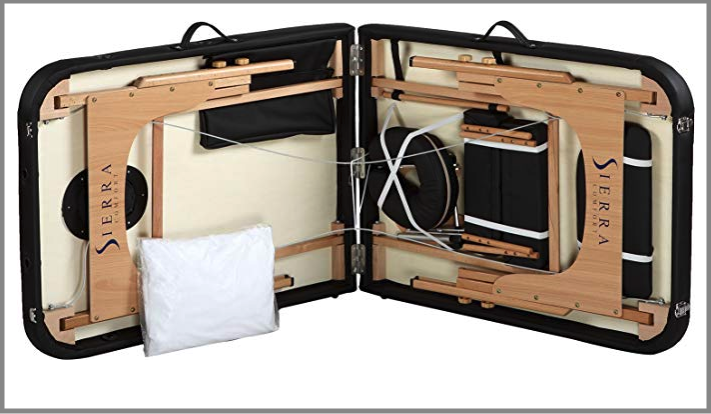 Another advantage of this portable massage table is that it closely resembles a mobile massage parlor with the inclusion of its accessories. Fitted sheets, Carry Bag, semi circle bolster, oil storage, disposable face sheets, towel hanger, and arm shelf. Surprisingly, it all fits snug under the table. 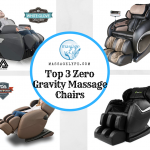 With all the accessories, you’re ready to / be massaged the moment it arrives at your door! Let’s talk about the foam decking. I initially thought it looked thin (description stated 2.5inches) and harder on picture. However, after purchasing and laying on it, I can tell you that it’s pretty soft. Of course, you’re not exactly laying down on a cloud but you get the idea. The Sierra Comfort All-Inclusive also comes with adjustable legs. Pretty standard 23 – 33 inches adjustment in height. It also comes with a five-year limited warranty. Note that the warranty only covers defects in workmanship and material. So don’t expect them to replace your table if it gets cracked after long period of use. Also, keep in mind that any shipment costs has to be paid by the buyer (in this case, you). The carrying case is made out of nylon and has the Sierra Comfort logo on the center. We found the shoulder strap and the handle on the side to be cumbersome over lengthy period of time since there are no pads attached to them. 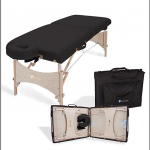 The Sierra Comfort All-Inclusive is a must buy for those looking for a cheaper portable massage table that is sturdy and comes with tons of accessories. 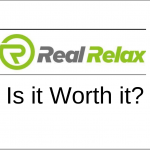 Real Relax Massage Chair (Shiatsu Favor-04) Review: What I Really Think!